Yes, people from Taiwan once again is leading the pack! 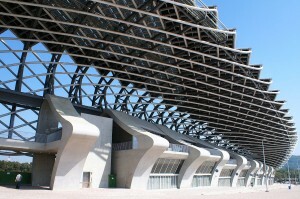 I just want to remind our viewers/readers of another fantastic solar structure completed in 2009 for the World Games, in Kaohsiung, Taiwan. 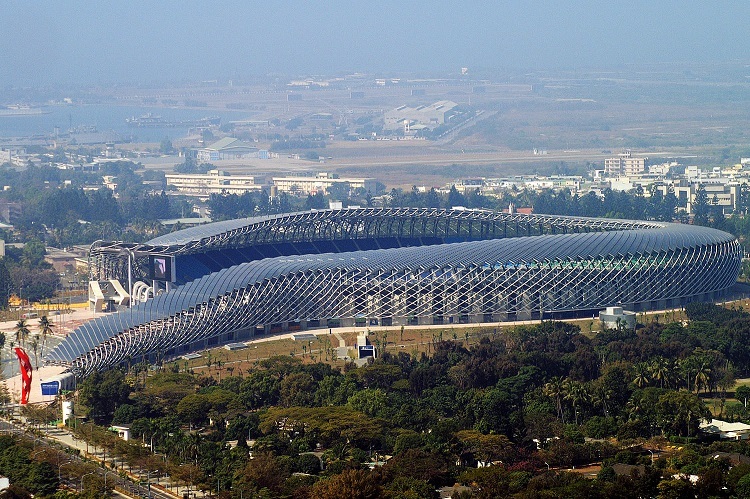 It is designed by Toyo Ito, the first stadium in the world completely powered by the Sun, producing 100% of its electric energy from solar PV. 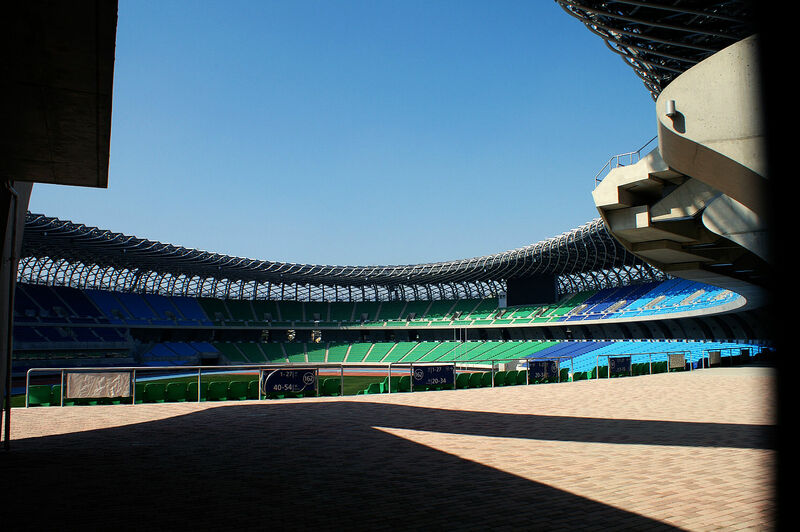 It is otherwise known as the National Stadium (official name) (Chinese: 國家體育場; pinyin: Guójiā Tǐyùchǎng; also named 龍騰體育場), formerly known as the World Games Stadium, is a multi-purpose stadium in Zuoying District, Kaohsiung, Taiwan. 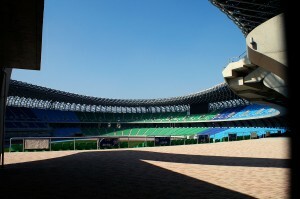 It is currently the largest stadium in Taiwan in terms of capacity. 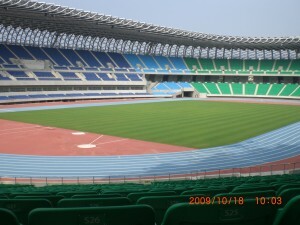 The stadium has a capacity of 55,000 people. 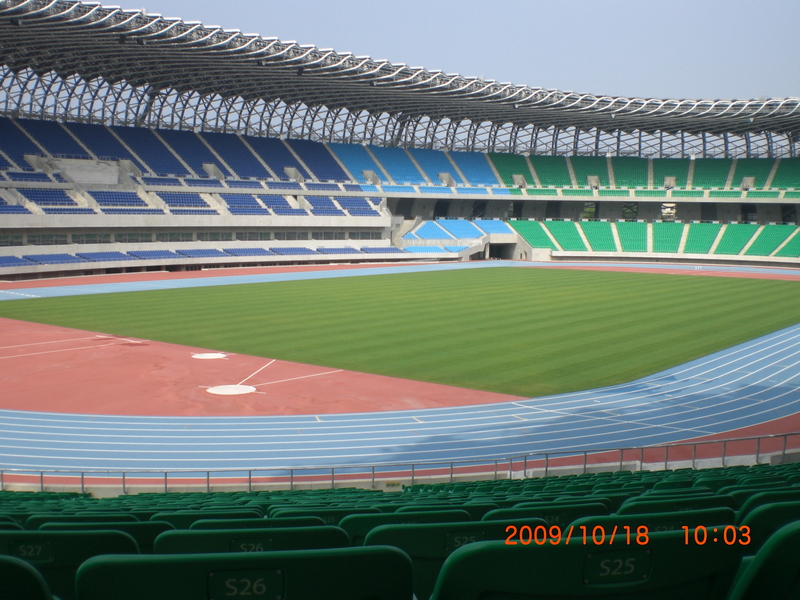 Since the conclusion of the World Games2009, the stadium has been used for some Taiwanese football team matches. Its semi-spiral shape, like a dragon, utilizes its 14,155 sq meters (8,844 solar panels, generating 1.14 million kWh annually) of solar roof to power the stadium and its 3,300 lights and two jumbo vision screens. To illustrate the incredible power of this system, officials ran a test and found that it took just six minutes to power up the stadium’s entire lighting system! I imagine people from Taiwan will continue to amaze us with various progressive solar projects in the decades to come. This entry was posted on Tuesday, April 28th, 2015 at 7:00 PM	and is filed under Educational. You can follow any responses to this entry through the RSS 2.0 feed. You can leave a response, or trackback from your own site.